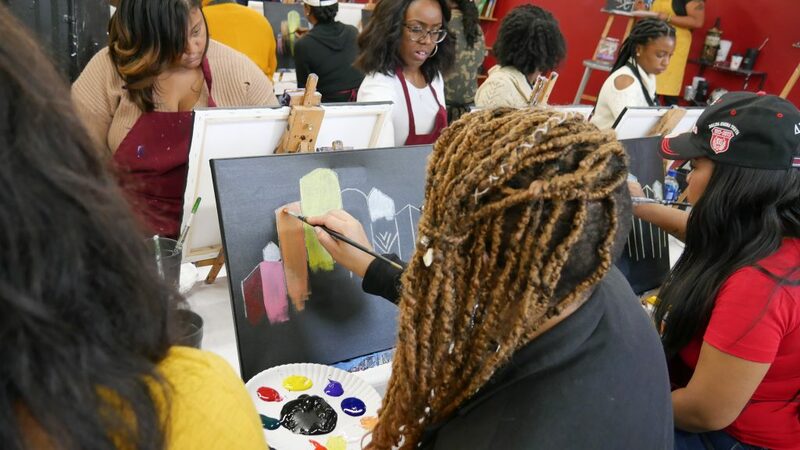 On January 13th, 2019, Black Young Professionals of Metro Detroit held it’s Painting with a Twist party entitled Paint: Detroit. This was a social event curated around contemporary Detroit popular culture. 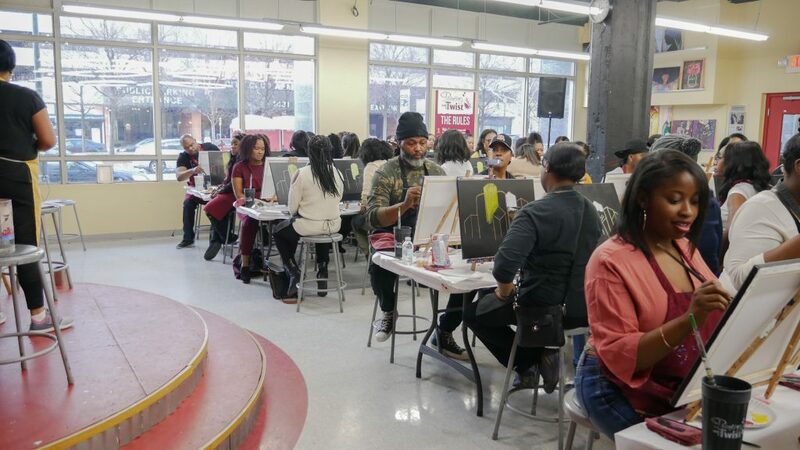 The organization partnered with the Black-owned Painting with a Twist studio located in downtown Detroit. 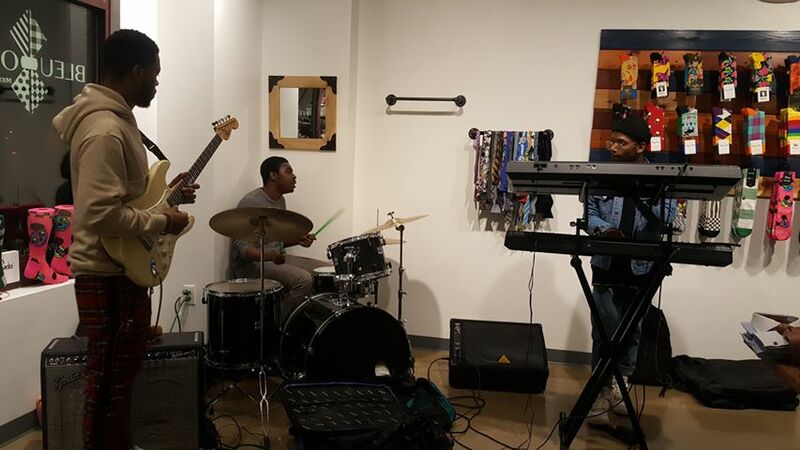 This studio is located inside of the Julian C. Madison building, which is also home to Black Young Professionals’ office (within Bamboo Detroit). 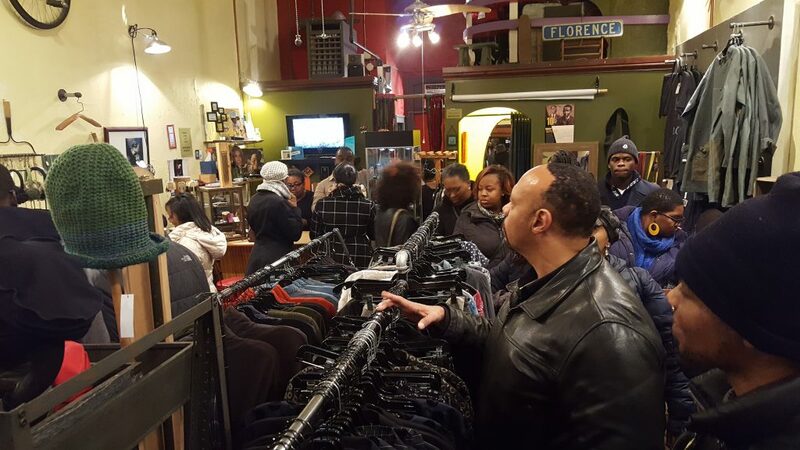 Of further significance is recognizing the entire building itself is also Black-owned. An amazing turnout was had with everyone packing the front studio facing Washington Boulevard and leaving no seats untaken. 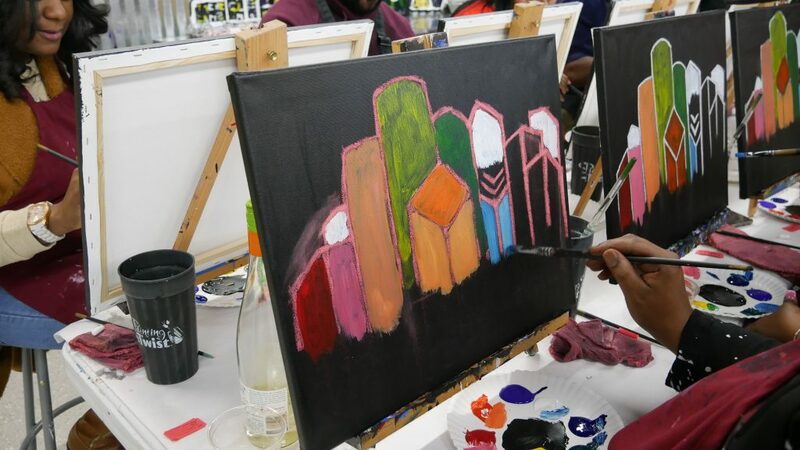 Everyone in attendance also received a coupon for their next visit to Painting with a Twist. 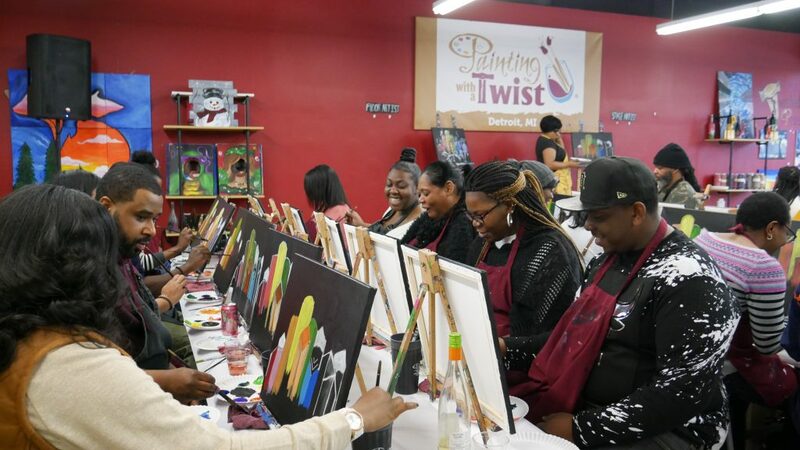 We would like to give special thanks to Painting with a Twist (Downtown Detroit) for being such a gracious host and supporter of the community. 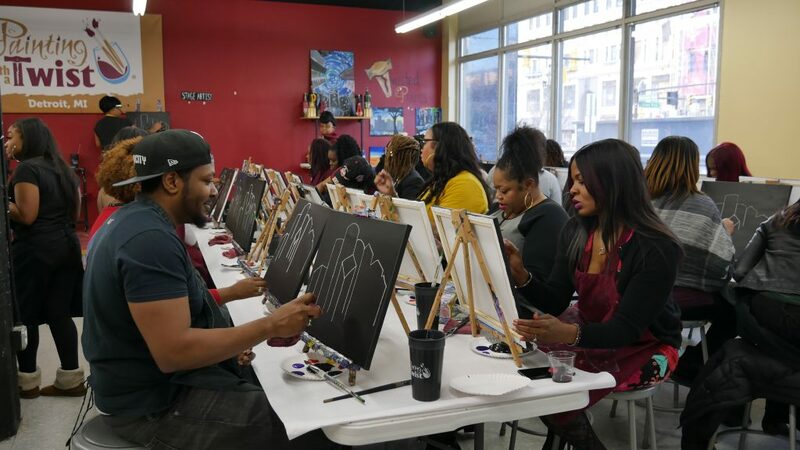 We highly recommend everyone attend one of their open painting events or even plan your own party at their Detroit location soon! We also would like to thank House of Pure Vin for their excellent guidance in wine selection for this event. 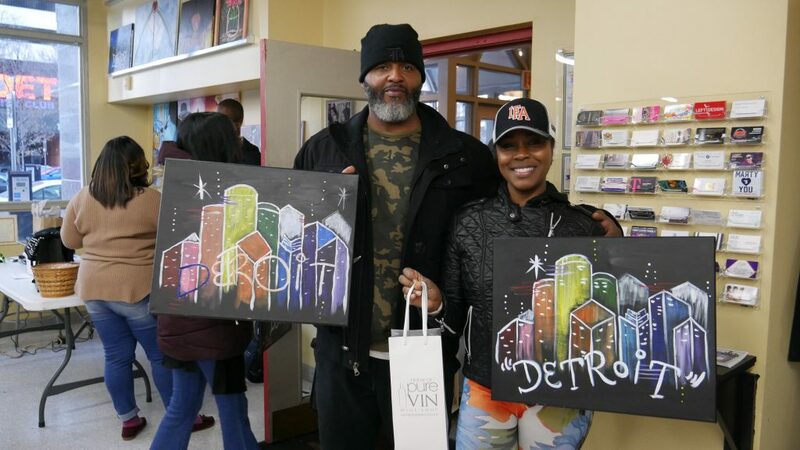 House of Pure Vin is Detroit’s premier wine shop offering an outstanding and high quality wine and champagne selection in the heart of the city, right on Woodward Avenue. House of Pure Vin is also a Black-owned business. 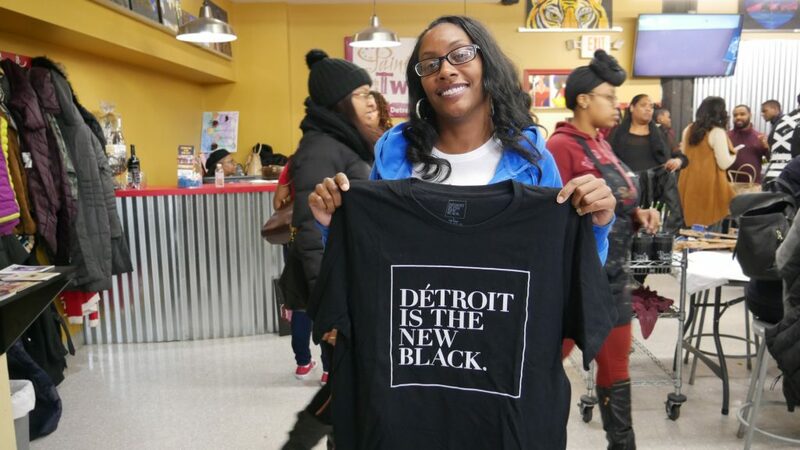 Additionally, we would like to send a shout out to Détroit is the New Black , where we procured our awesome and very culturally-fitting t-shirts for the entire team to kick-off 2019. 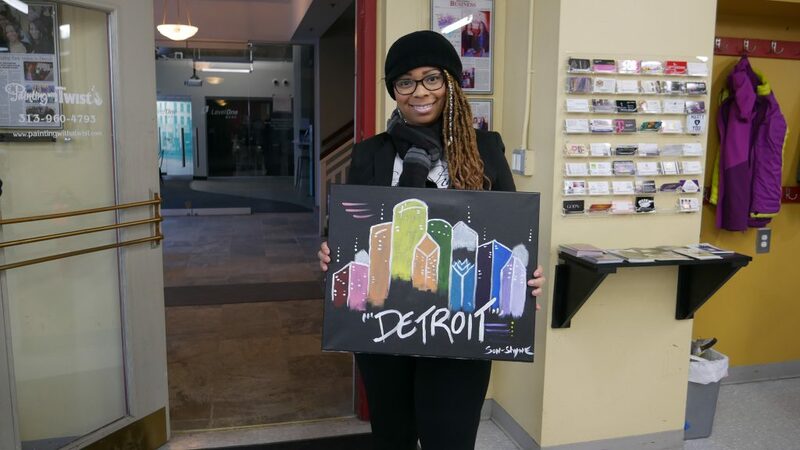 Détroit is the New Black is also a Black-owned business. Check out their chic store on Woodward Avenue (just down from House of Pure Vin) where you can find all of their other attire offerings. Below are just a few of our photos from the event. The full collection of event pictures can be found on our Facebook page or Google Photos. Check out our official Paint: Detroit playlist below on Spotify! This was the largest one yet. 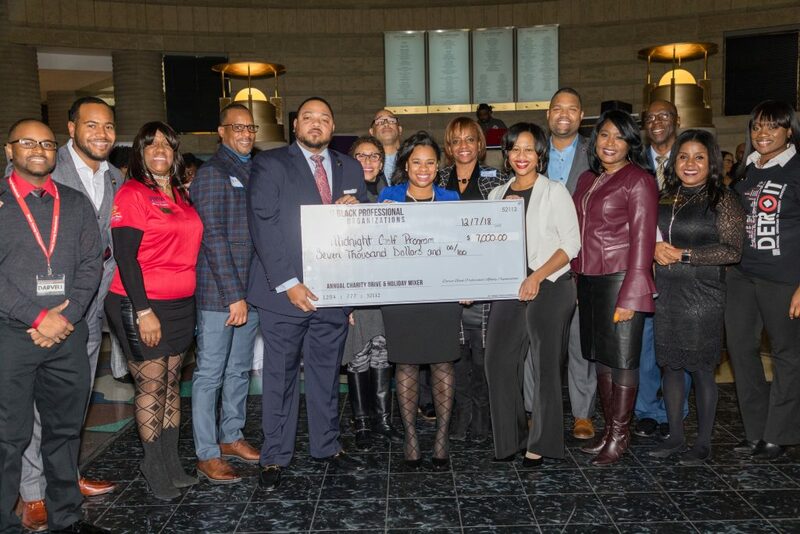 First off, shout-out to the amazing team from the National Association of Black Accountants (NABA, Inc.), Detroit Chapter. They put in serious sweat equity from beginning to end. 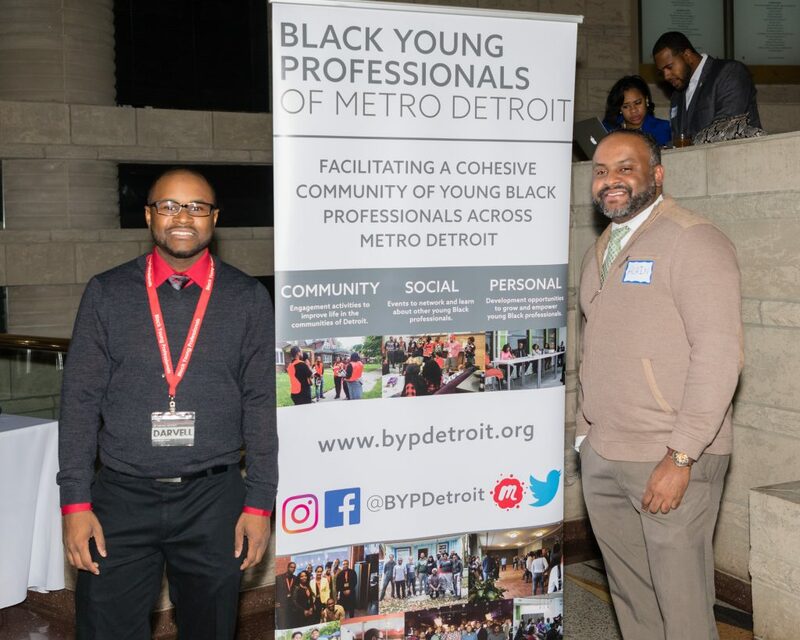 On behalf of both Black Young Professionals of Metro Detroit, as well as the entire collective of Detroit Black Professional Affinity Organizations (Herein referred to as the “Affinity”), we thank them sincerely. 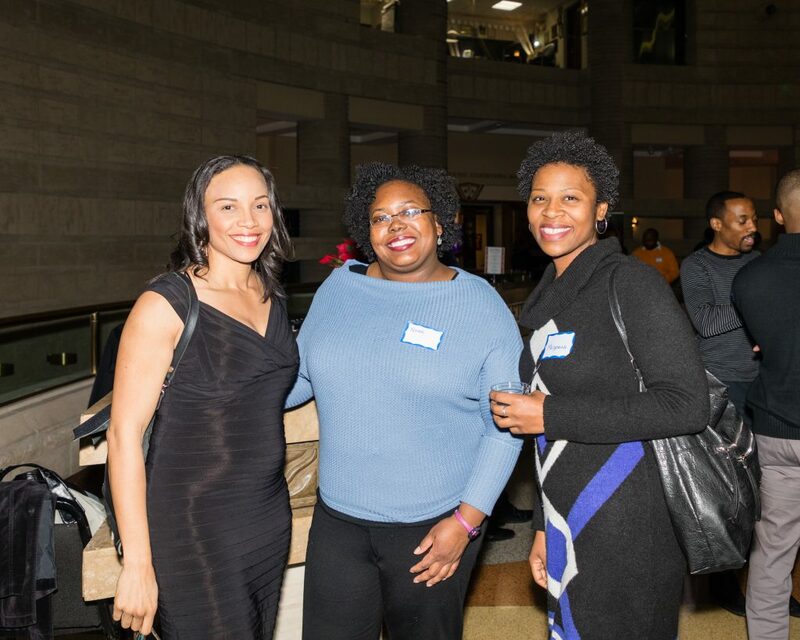 This year’s event was held at the amazing Charles H. Wright Museum of African American History in the Cultural Center of Detroit, MI. Well over 250 guests graced the beautiful Rotunda with their presence to fellowship together. This year was a departure from the routine of our past holiday parties, as the Affinity voted to change to a new beneficiary. The winning charity organization was the Midnight Golf Program. The mission of their program is to improve under-served young adults’ personal development, educational preparedness and appreciation of the game of golf. Currently the program meets twice a week with two groups of 125 students for life lessons, golf lessons and a sit-down dinner. Food provided by by Jackson Five Star Catering did not disappoint as guests mingled and danced the night away. 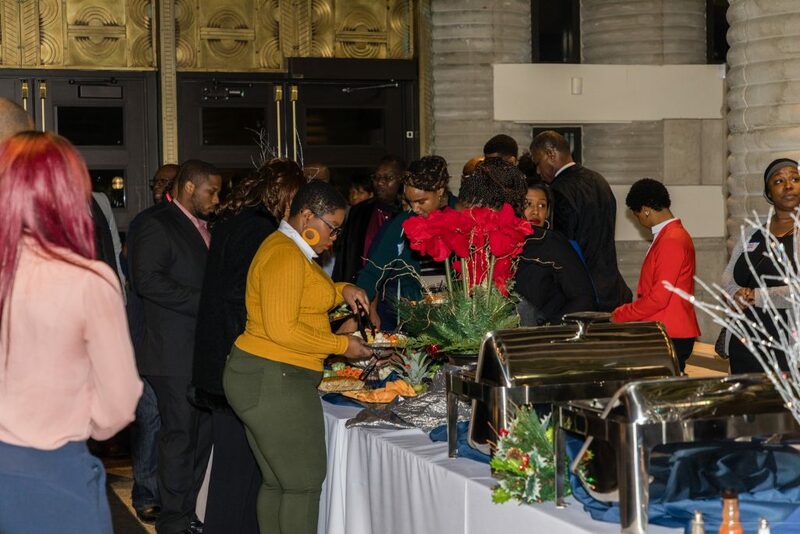 This event serves as the official metro-area wide holiday get-together focused on Black professionals of all industries, education backgrounds,and career levels. As always, thanks to the generosity and support of our awesome community, the Affinity was able to present a donation of $5,000 to the Midnight Golf Program. We’d like to sincerely thank everyone who was able to attend the event this year or who donated online. Below are a few of the amazing pictures, along with information on the photographer of the evening. Additional pictures can be found on our Facebook page here. What we did with Noel Night 2018. So, look. Noel Night is a Detroit tradition. We don’t even know when it started, but if you’re anywhere in Metro Detroit, you know about it. Noel Night is produced by Midtown Detroit, Inc., a non-profit community development organization that supports economic growth in Detroit’s Midtown district. The original major attraction to Noel Night was free admission to the museums which normally charge for entry, such as the Michigan Science Center, or the Charles H. Wright Museum of African American History. The Detroit Institute of Arts (DIA) only charges people who are not residents of Wayne, Macomb, or Oakland counties; But it’s still a big attraction, free or not. This year, 2018, things changed significantly. 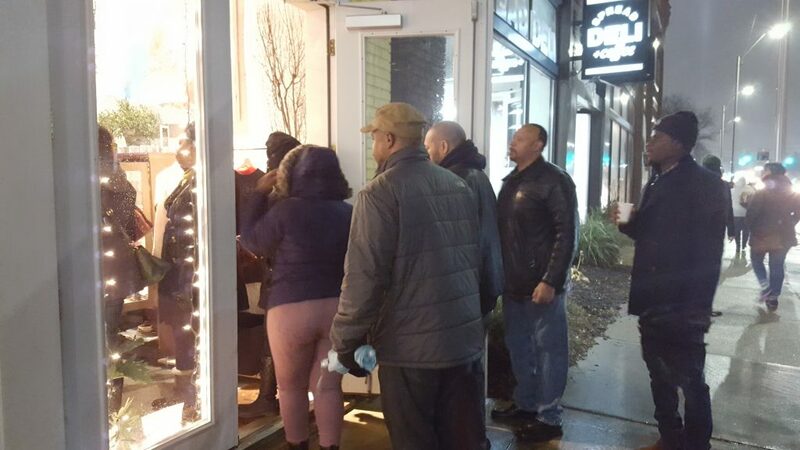 Midtown Detroit, Inc. decided to break up Noel Night into two halves, to increase safety and encourage more patronization of smaller midtown businesses, rather than the museums stealing the show every year. This year the first half of the event was from 11AM-5PM and focused on the Cultural Center of Detroit; That is where all the museums are. 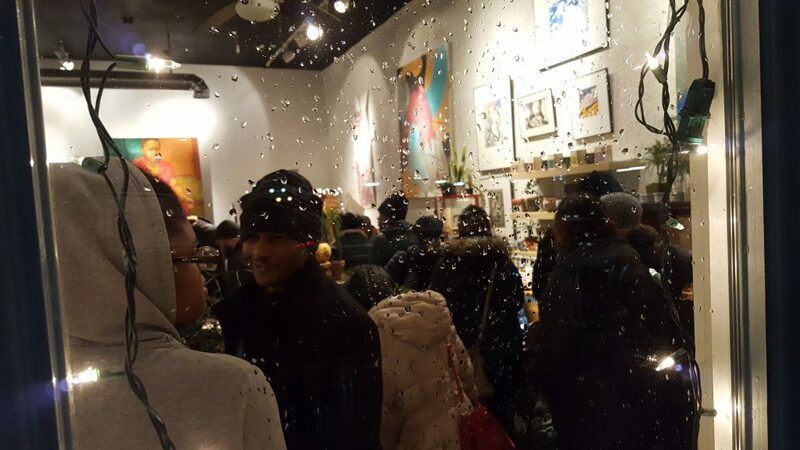 Then the second half of the event spanned from 5PM until 10PM, and was essentially for everyone else. 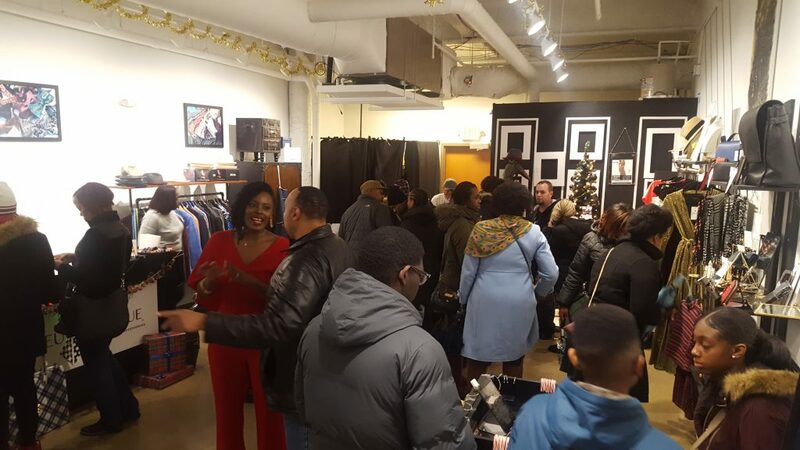 Black Young Professionals of Metro Detroit organized a “Noel Night Crawl” for the second half of Noel Night, visiting several local businesses in the midtown area. Check out our pictures below. Check out all these wonderful businesses, and check out our pictures below!